Xiaomi Redmi Note 2 is not afraid of the Samsung Galaxy Note5. The company releases the second iteration to its popular handset to clash with the Korean giant's flagship phablet. Check its specs sheet here. Xiaomi has been very keen in its offerings in different smartphone categories. The brand comes with a very practical price standpoint in flagship, entry level and mid-tier platforms; now, the current leader in value-for-money handsets has refreshed its popular Redmi Note line with a very capable phablet dubbed as the Xiaomi Redmi Note 2. The handset is all over the internet as it generated an ample buzz and stole a considerable amount of lightning from the Samsung Galaxy Note 5 earlier this month. So what does the new Note has in store for all the phablet lovers worldwide? Basically, the Chinese outfit released three variants - two Xiaomi Redmi Note 2 configurations and a Redmi Note 2 Prime. These variants vary with the chunk of memory and processor speed that they have included in their respective feature sets. Xiaomi’s new Note packs a 5.5-inch full HD display. This display tech has been very common to affordable Chinese manufacturers which offer premium internals in the mid-range segment. For starters, the LCD panel comes with 1920 x 1080 pixels with 401 ppi pixel density. When it comes to the hardware, Xiaomi is lifting the bars with a brand new chipset that ticks in the heart of the Redmi Note 2. 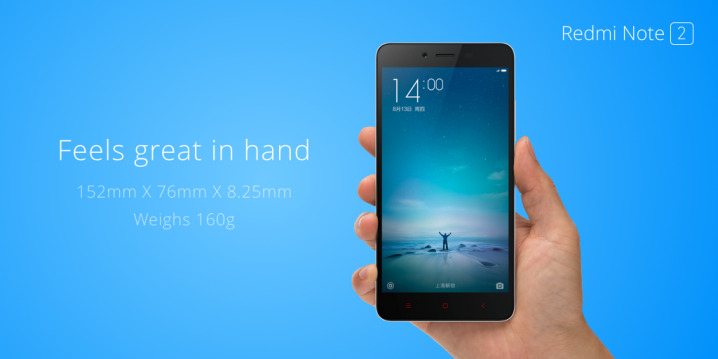 The Xiaomi Redmi Note 2 harnesses its computing power from the 64-bit MediaTek Helio X10 SoC. This package comes with eight Cortex A53 CPU cores clocked at 2.0GHz for the standard variant and 2.2GHz for the higher-end variant. The faster beast is dubbed as the Redmi Note 2 Prime which packs a 32GB of internal memory and 2GB of RAM. On the other hand, the standard Redmi Note 2 only comes with 16GB of native storage with the same RAM offering. MediaTek also includes the PowerVR G6200 GPU to chew some meat in the graphics department. As far as the camera goes, the Xiaomi Redmi Note 2 is also a performer. The 13-megapixel sensor from Samsung is made up of 5-element lens with f/2.2 aperture. The rear sensor offers a phase detection autofocus which is basically a step higher from the standard detection scheme. It is also capable of focusing an object in just 0.1 seconds. The selfie camera boasts the 5-megapixel shooter from OmniVision. 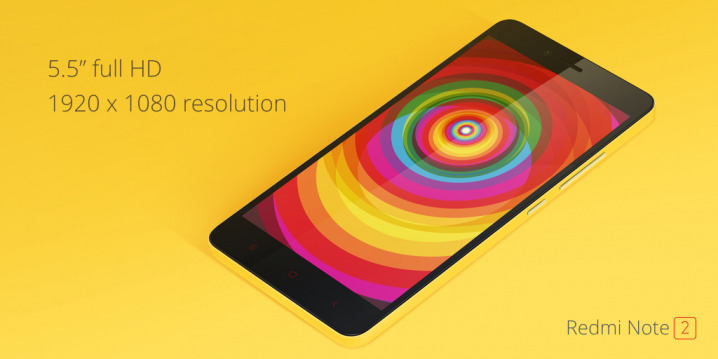 The Xiaomi Redmi Note 2 comes with a dual-SIM capability and Wi-Fi a/b/g/n/ac dual band. There's also an IR blaster on board. All of these hardware will be powered by a juicy 3020 mAh battery to keep the device ticking in a considerable amount of time, away from the wall outlet. The handset is also the torch-bearer of the company's latest skin, the MIUI 7, which is now based on Android 5.1 Lollipop. The MIUI 7 is loaded up with fresh themes, facial recognition and Mi Roaming capabilities to name a few. The Xiaomi Redmi Note 2 will be available in Blue, Green, White, Yellow and Pink colors. The handset is now available in China. But for those of you who wanted to get the phablet as soon as possible, you can check its availability in GearBest.